The dancers are side by side with the man's arm around the lady's waist and the lady's left arm rests naturally on the man's shoulder. 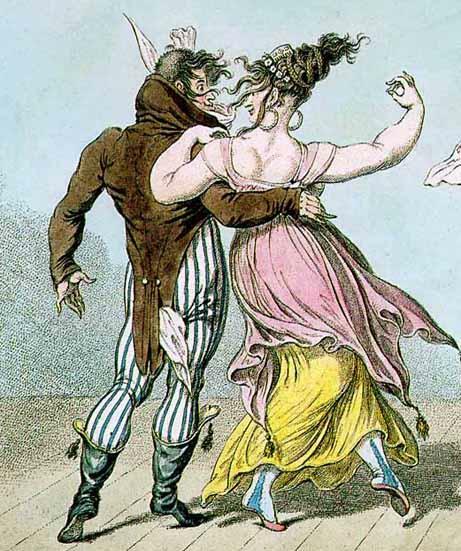 The most likely variation would have the man advancing while the lady dances backwards, though this could be reversed at will. In all the illustrations I have found, the hips are shown as not touching, though in practice this seems difficult to accomplish, and body-to-body contact seems almost inevitable. Note that eye contact is still maintained.